In addition, DPCI has experience integrating Drupal with other content technologies and third-party applications such as EnterMedia, InDesign Server, Adobe Digital Publishing Suite, Salesforce, K4 Publishing System, DART, Omniture, Akamai, BrightCove, ImageMagick, BlackBaud, CiviCRM, and dozens of others to further enhance functionality and performance of our customers' Web platforms. 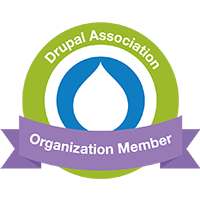 While we have our favorite contrib modules that we like to work with, we always help our customers select from the thousands that are available from the robust Drupal community. In general, we will pre-test modules that we are not familiar with to ensure that they will meet our customers' functional and nonfunctional (performance, security, etc) requirements. For those projects where a customization to a community module is needed, we will regularly contact the original creator of the module and either 'farm out' the enhancement to them, or do the work ourselves on the customer's behalf. In those cases, we will strongly urge the customer to allow the enhancement to be contributed back to the original module. That is so that the customer does not branch functionality, which will make it harder to support that module in the future. For customers that absolutely must have custom functionality to support their business model, we have a full team of Drupal module developers that have created exciting modules for dozens of enterprise customers to help them seize their market opportunities. Thus, companies like NBC Universal, Daily Racing Form, New York Cares, dnainfo.com, The Latin Kitchen and many more have relied upon DPCI to help them differentiate their online businesses using Drupal as their foundation platform.